These 4 Brides' Bachelorette Trips with their bridesmaids will make you yearn for yours! Last week I wrote about Priyanka Chopra and her fabulous bachelorette with her girlies. Turns out she isn’t the only one to have amazing girlfriends (no no, not mine. Mine still wouldn’t come to Lonavala!) 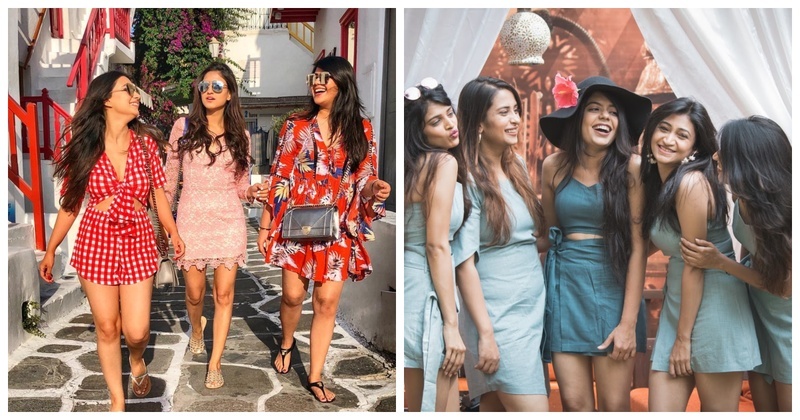 On a lonely Saturday night while I sipped on some wine, scrolled down Instagram and whined some more, I stumbled across gorgeous brides and their oh-so-awesome bachelorette trips! I suggest you keep a tissue box handy as you see pictures of this bride celebrating her last single days (for you’ll be thinking of how you can’t even afford a trip down to the mall :p)! Jokes apart, this bachelorette trip seems to be full of beachy vibes, customised sweatshirts and loads of fun! See for yourself! Kajal Mehta planned a trip to Goa with her friends but was in for a big surprise. Her girls planned an entire photoshoot for her! Much needed spa time with the girls! Love the customisation and her love for GoT and martini pyjamas, making her one of us! Uff...If their bachelorette trip is so good can you imagine how amazing will their wedding be? Told yaa, you’ll need those tissues!